Who’s Afraid of the Big Bad Dragon? 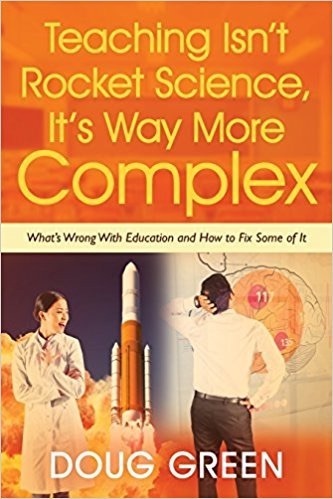 Why China Has the Best (and Worst) Education System in the World by Young Zhao offers and insider’s account of the Chinese school system, revealing the secrets that make it both the best and the worst. Yong was born in China and taught there. He has also maintained contact in order to tell us how China produces top scores on international tests but falls short when it comes to innovation and creativity. There are big lessons here for US policy makers. Click below to purchase this outstanding book that should be of interest to students, parents, and educators alike. Yong holds the first presidential chair at the University of Oregon, where he serves as associate dean for global education, and professor in the Department of Educational Measurement, Policy, and Leadership. He has been featured in media ranging from The New York Times and USA Today to NPR and ABC. He is the author of more than 100 articles and 20 books. Check out his website and follow him on Twitter @YougZhaoUO. The virus threatening America’s schools is the rising tide of authoritarianism. Most Americans have failed to recognize that government mandated tests are a Trojan horse containing the ghost of authoritarianism as they attempt to instill in all students the same knowledge and skills deemed valuable by the authority. All one need do is look to China to see the full range of tragic events that can happen under authoritarian rule. China indeed has produced superior test takers, but has failed to cultivate talents and creativity. The damage being done takes instructional time away for testing, demoralizes teachers, and narrows educational experiences. Lost is a creative culture that celebrates diversity and respects individuality. School boards have surrendered to state and federal governments, and now in effect, only collect local taxes. Instead of learning from China’s miseries, we seen to be on the road to duplicate them. Do we want a system like China where only 10% of college graduates are deemed employable by multinational businesses because the students lack the qualities our new society needs? This entry was posted on Monday, December 1st, 2014 at 6:49 am	and is filed under Book Summaries, Education Books, Leadership Books. You can follow any responses to this entry through the RSS 2.0 feed. You can leave a response, or trackback from your own site.